Recent study and medical surveys on neonatal mortality¹ have shown that India accounts for the maximum percentage of demises among newborns, worldwide, which is 28%. These newborn infants pass away majorly due to either of the following causes- infections due to pre-maturity, asphyxia, low-birth weight, pneumonia- complications which hospitals with low-end facilities cannot handle. iii) inadequate specialized staff for maternal and infant care for pre, during and post birth. .The Continuous Positive Airway Pressure (CPAP) equipment is a recent break-through innovation in the field of neonatology, that is efficiently life-saving. 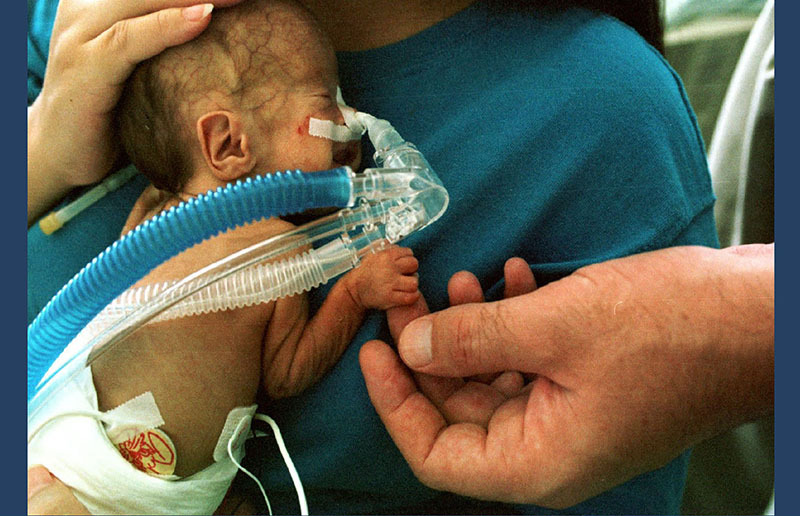 The CPAP device is used in most developed countries to cure the causes of infant deaths mentioned previously. In spite of being a great boon, this equipment has some issues and problems associated with it which have been identified after studies and discussions with doctors. The objective of this project is therefore to facilitate the use of CPAP device by making it compact, portable, easy to use and maintain. Use of the CPAP device in multiple directions were thought of - like during transit (emergency vans), in local clinics - where the accessibility of the people to obstetric care is much more easier, and use in hospitals were made-wherever its use is relevant and such that infant lives could be saved. The final concept was an outcome of insights gained from considering the direction for local clinic set-up.